This article was published in my column The Golden Legacy on Sunday, 28 August 2016 in The Brunei Time Sunday. As the 2016 Olympics drew to a close, not many remember that the 1916 Olympics which was supposed to have taken place in Germany never took place. In that year the world was ensnared in the first World War. In July to November 1916, in the Battle of the Somme, more than one million soldiers died with 57,470 British Empire casualties on the first day alone and 19,240 of them killed. FOR the small percentage of Brunei who call Kuala Belait their home, their perception of the town is more than just a sleepy town. The first thing that pops to mind when the town, which is also known as KB town to residents, is mentioned are the shops along Jalan Pretty. The iconic street is home to more than 20 thriving retail businesses, which include international brands such as The Body Shop and The Face Shop. 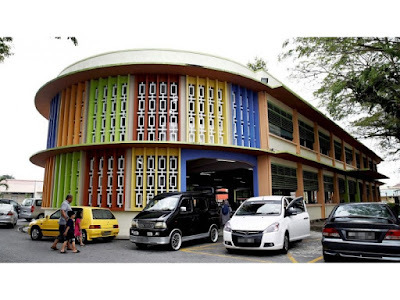 Jalan Pretty also has more than one bookstore, footwear shops, mini markets, restaurants and a handful of stores managed by home-grown young entrepreneurs. Meanwhile, in the afternoon on the weekends, a group of stalls at Pasar Kuala Belait, which used to be a wet market behind Jalan Pretty, becomes a haven for local food favourites. Although, not as big as Tamu Gadong, the place — which is a mere five minutes’ walk from Jalan Pretty — is filled with different kinds of stall owners from all over Belait selling traditional kueh and other popular snacks. My article below was published on Sunday, 14 August 2016 in The Golden Legacy column of The Brunei Times. DURING Sultan Omar Ali Saifuddin II’s skirmish with the British in the mid-1800s which resulted in the loss of the Labuan Island, there were a number of books published by different authors giving accounts of the ‘battle’ between the British attackers and the Brunei defenders. 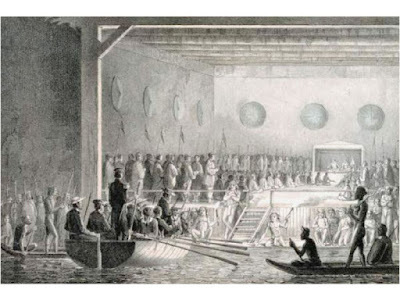 These authors were either captains or naval officers of various British battleships present during the combat and signing of the treaty surrendering Labuan Island to the British. BY COMMAND of His Majesty Sultan Haji Hassanal Bolkiah Mu’izzaddin Waddaulah, the Sultan and Yang Di-Pertuan of Brunei Darussalam, the Prime Minister’s Office (PMO) yesterday announced the transfer and appointment of two officers. Abdul Mutalib Pehin Orang Kaya Seri Setia Dato Paduka Hj Mohd Yusof, permanent secretary (Media and Cabinet) at PMO, has been transferred to the Ministry of Home Affairs as permanent secretary. Meanwhile, Mohammed Riza Dato Paduka Hj Mohd Yunos, deputy permanent secretary (Corporate Affairs and Civil Administration) at PMO has been appointed as permanent secretary (Media and Cabinet) at PMO. The transfer and appointment of both officials will take effect from today. GOING out to places in Belait is a good way to know more about the district, but if time is an issue then there’s the Belait District Museum — all the essentials that you need to know about Belait under one roof. 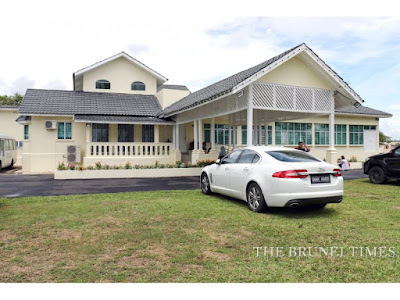 Located along Jalan Maulana next to the municipal field where the meet-and-greet with the monarch takes place annually, the museum is the first and so far the only museum that is outside of Brunei-Muara district. The building itself is a historical structure, built in the 1930s as the residence of the then Deputy British Resident. Until 1990, the building is the official residence of the Belait District Officers. 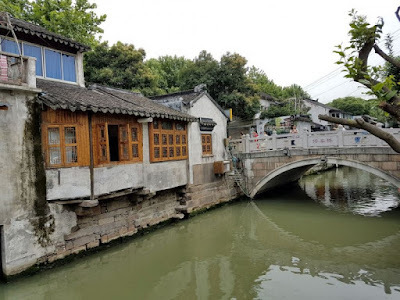 I wrote the following article when I was in Suzhou during my trip to China from 12 to 24 June 2016. 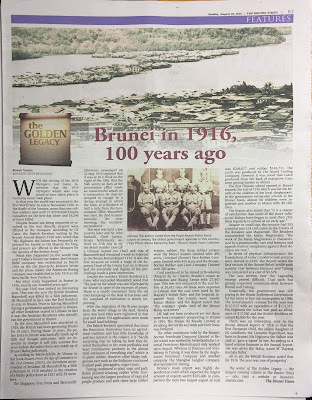 It was published in The Brunei Times in my column The Golden Legacy on 31 July 2016. IT WAS in November 2014 when Chinese leader Xi Jinping announced plans to create a US$40 billion development fund, which would help finance China's plans to develop the New Silk Road and the Maritime Silk Road. The Maritime Silk Road, officially known as the “21st Century Maritime Silk Route Economic Belt” is a Chinese strategic initiative to increase investment and foster collaboration across the historic Silk Road. 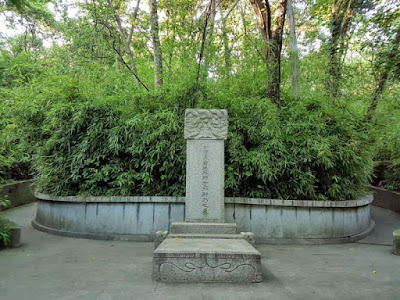 The historic Silk Road itself was not a single road but it was an ancient network of trade routes that were once used connecting the trade between West and East from China to the Mediterranean Sea. The Silk Road derived its name from the lucrative trade in Chinese silk carried out along the length of the road.